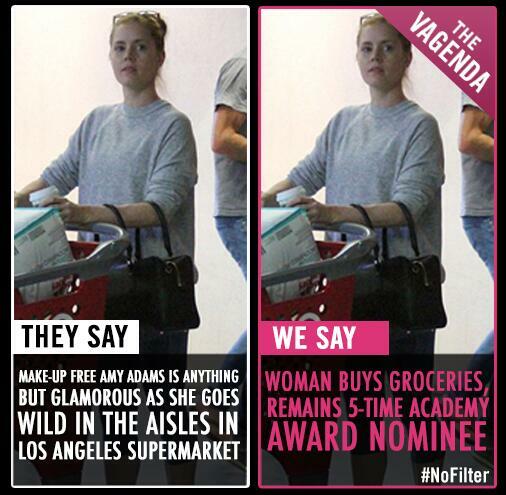 The Vagenda Magazine asked their Twitter followers to tweet them edited headlines. Their followers did not disappoint. 1. 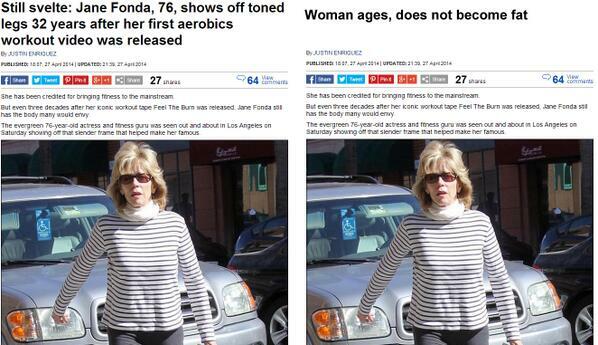 The Vagenda asked their Twitter followers to turn around snarky headlines into 'normalised' headlines. 2. Some of their Twitter followers noticed that the women have, you know, achieved things? 3. 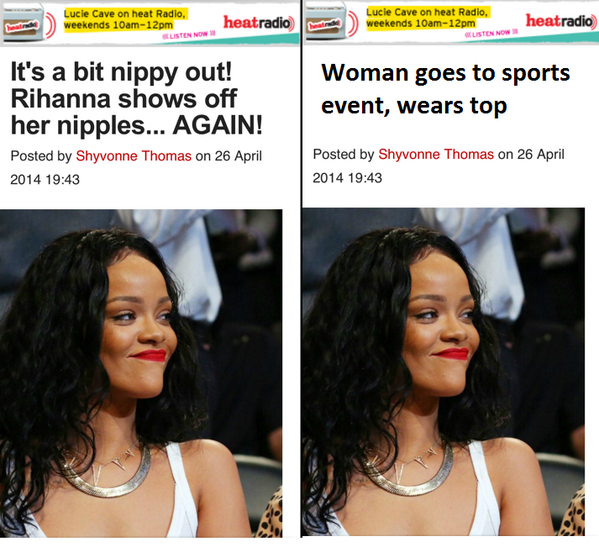 Others saw that women even wore *clothes* after giving birth. 4. 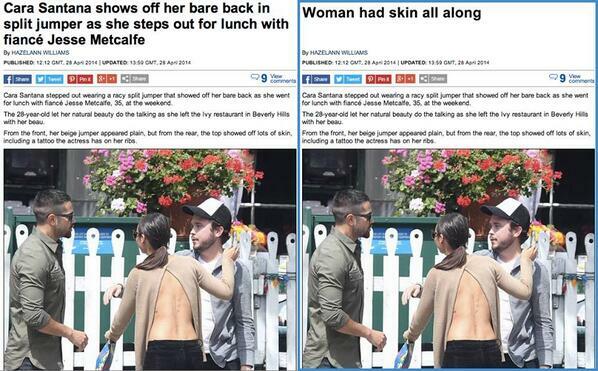 Wait, women have skin? 6. Is it breezy outside? I hadn't noticed. 7. Breaking News: Women Age. 9. Woman completes daily task and she's HOW OLD?! 10. SCANDAL: WOMAN GOES TO WORK. 11. Wow, she looks so normal buying that drink. Who would've thought? 12. They're not "shapely" legs. They are legs. 13. 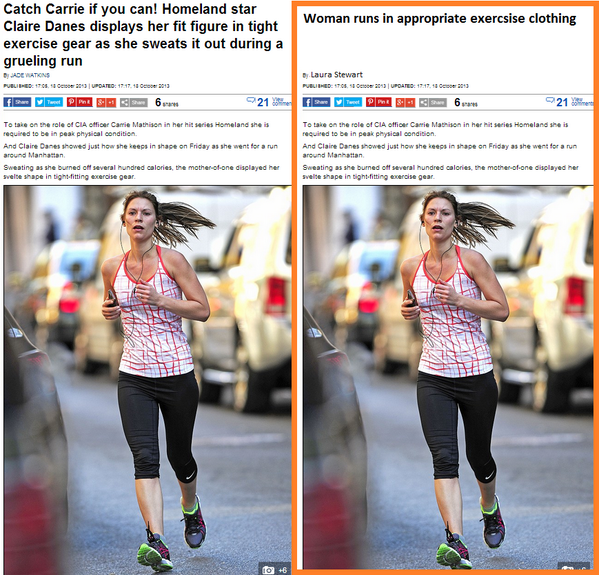 Is she 'displaying her fit figure', or is she just running?